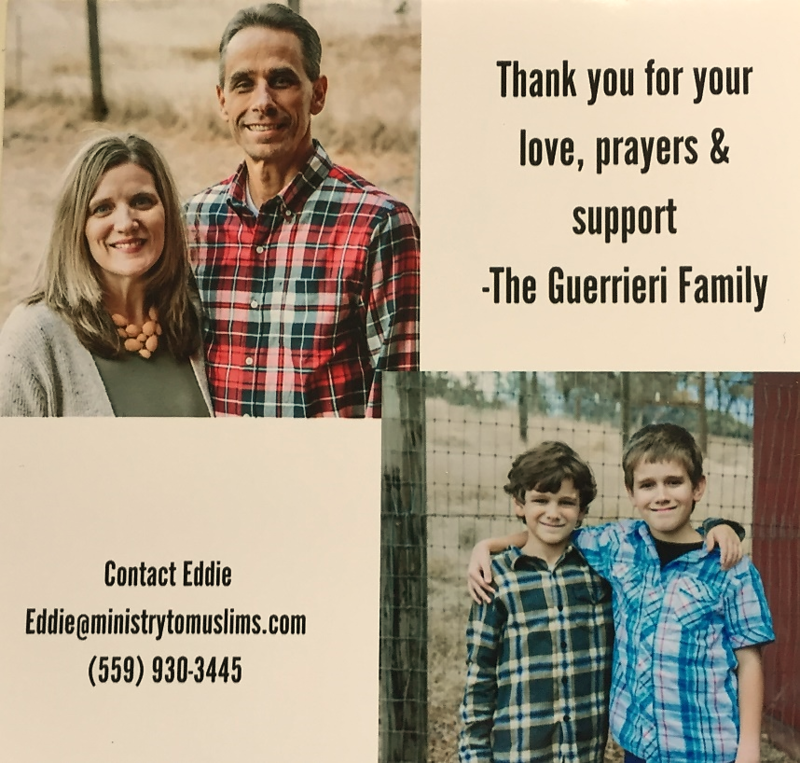 Eddie Guerrieri is a preacher and evangelist. For the past 16 years he has been a supply preacher for local churches for the Southern Baptist Convention. Eddie's heart's passion is to see the Gospel spread and Jesus glorified. Since he first surrendered to the calling on his life to ministry he has been proclaiming the gospel and preaching God's Word by serving in rescue missions, street evangelism, CA prison system, one on one evangelism and serving as a Senior Pastor for 3 years. He has been serving alongside Ministry to Muslims for the past year. He currently leads the Thursday night prayer conference for M2M and he most recently is a student at Andersonville Seminary where he will be completing his Associate of Biblical Studies in May 2019. Soon, he will be joining M2M Full-time as a Teacher and the Outreach Director. To invite Eddie Gurerrieri to speak at an event or Church please fill out the "Invite Speaker" form below.